A 39 year old time traveller arrives at his birthday party where there are future-versions of himself as well as younger versions. This is not the unusually part. The weird stuff starts happening when suddenly the 40 year-old version of himself is found dead from a gunshot wound to the head. The older versions of him don’t know how or why it has happened (and it has happened before) and he’s tasked with stopping it from happening or else there might not be a time traveller anymore. I have to say I picked up this book from Waterstones because once I saw the cover I couldn’t leave it. It’s a simple yet beautiful cover that intrigued me and I had to have it. Then reading the back and seeing it was all about time travel and multiple versions of a character I was even more interested since I really like science-fiction/time travel plots in films but haven’t read anything like that before. You never learn the protagonists name (which is probably a good idea since there’s multiple versions of him often running around) as it’s a first person narrative and when he talks to other versions of himself he keeps track of who’s who by defining features such as “Yellow” for their yellow jumper and “Screwdriver” since one version of him is carrying around a screwdriver. While I did generally like Man in the Empty Suit, I did find the pacing of the plot a bit hit and miss – the middle really dragged for me especially compared to how exciting and intriguing I found the first and final act. Also the main character did get on my nerves during the middle part too. The whole time travel aspect was different from anything I’d read before and I think it was done well – in my view you can do time travel how ever you like as long as you stick to your own rules and I think Sean Ferrell did that. Overall I did like Man in the Empty Suit but I did get a bit bored when the plot dragged in the middle and it didn’t help that at that point the protagonist was being a bit annoying so I couldn’t really empathize with him then. 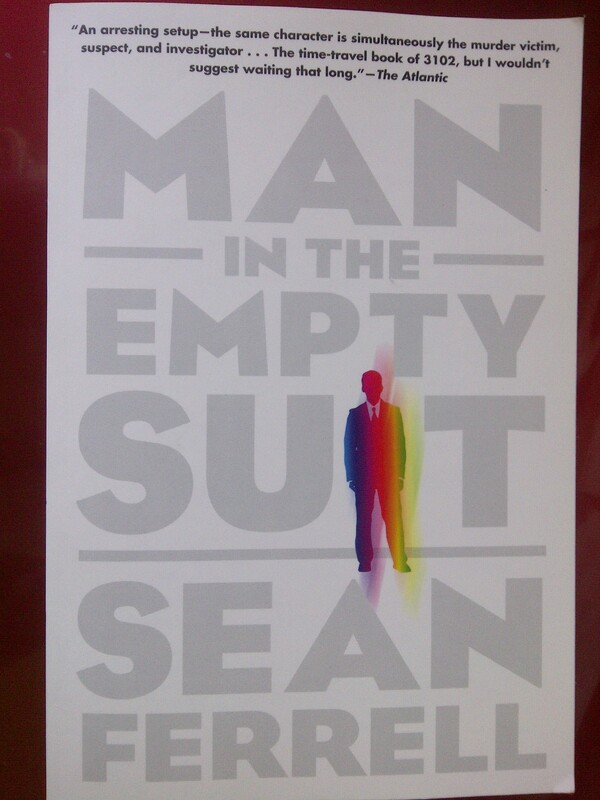 I give Man in the Empty Suit 3/5. ← New Laptop – New Name?